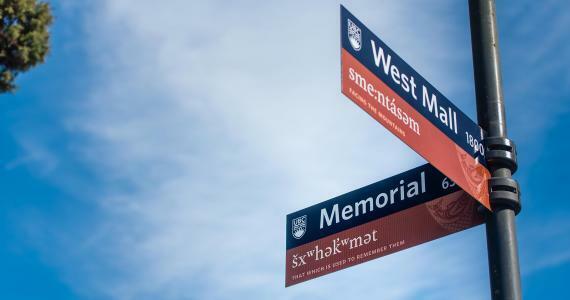 UBC’s Vancouver campus is located on the traditional and ancestral territory of the xʷməθkʷəy̓əm (Musqueam) people. 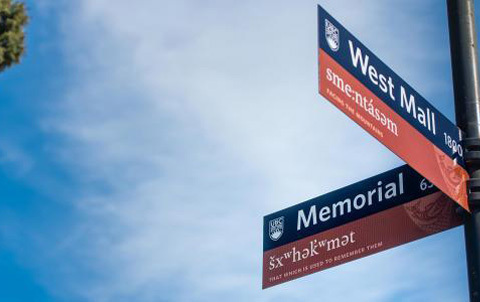 At UBC events, it is common to acknowledge Musqueam territory. Why do we acknowledge Musqueam territory? Please see the welcome from Musqueam elder sʔəyəɬəq (Larry Grant) above or on the Musqueam Affiliation page where you will also find former FHNL director Linc Kesler’s explanation. 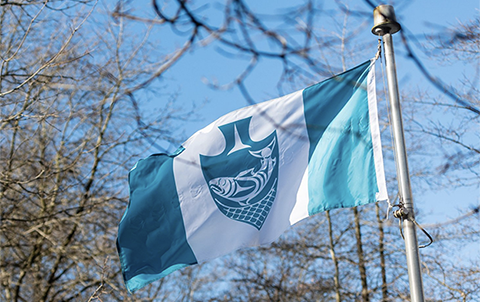 You might also want to visit the UBC Aboriginal Centennial Page for a look at our history. UBC’s Okanagan campus is located on the territory of the Okanagan Nation. Visit the UBC-O Aboriginal Programs and Services site to learn about initiatives and opportunities at the Okanagan campus. A little knowledge can be a dangerous thing, but, when students enter university with very little knowledge of Aboriginal people, history, and circumstances, sometimes even a little knowledge can make a real difference. Watch Maryel Sparks-Cardinal’s short video . . .